a shoe for the creative class? 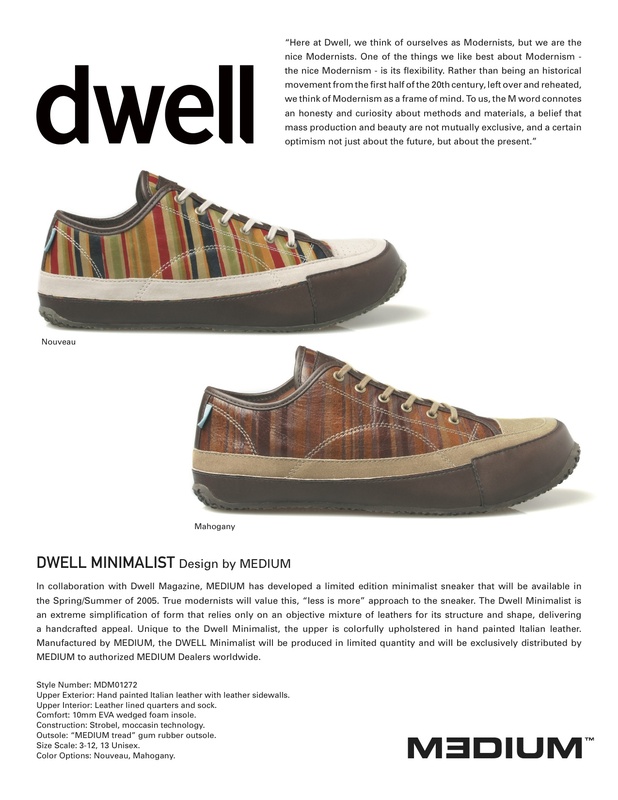 This was a limited edition sneaker Scott Milden, Coleman Horn and I did in 2005 with Dwell Magazine. They sold out immediately. Our company was called Medium Design Group. We also did collab’s with Adobe and House Industries (a font company). I loved the concept of Medium… but we were a tad too design elite. The Creative Class as a target audience was a unique demographic though… and the concept still has merit. Medium was sold to Pentland group in 2006. They did not move forward with it though. Scott and Coleman had worked with me at Simple. Medium was primarily their baby.